This is the final video in our series on the 6 metrics that arts leaders should be tracking and managing. Is your arts organization generating the most revenue it can for each event? There’s a way to measure that! In this video, Lindsay Anderson of TRG Arts explains how to figure out if your pricing strategy is causing you to lose money, and common causes of lost revenue due to pricing strategy. Our assumptions about what our audiences will and won’t want or do can stop us from pricing to optimize revenue for our organizations. But we don’t really know until we look at the data. Ignoring what patron data tells us about pricing can lead arts organizations to leave money on the table—money that could be sustaining their mission. At The New Wolsey Theatre in the U.K., small changes to pricing strategy resulted in big revenue increases. In just nine months, the company reported a 31% increase in box office gross—without selling more tickets. In this free webinar, New Wolsey’s Head of Sales and Marketing Stephen Skrypec and TRG’s VP of Client Development Lindsay Anderson shared how the theatre updated daily practices and challenged prior assumptions about audiences, leading to their success. Learn how arts organizations, whether in the U.S., U.K., or elsewhere, can use pricing to drive patron behavior and revenue. Click through to read more and view the video. Ever read an article on pricing in the arts and wish someone could translate it into plain English? There are a lot of specialized terms to describe pricing tickets to seated events and figuring out what prices should go where in a venue. There’s no Google Translate for pricing jargon yet, but below is a basic glossary we originally published for our recent case study with Dallas Theater Center. We recently revised the list with even more pricing terms, provided by our consulting team. If you'd like to impress your box office colleagues, make your industry friends jealous with your vocabulary, or simply confuse your significant other when you talk about pricing, read on. Edit: Thanks to everyone who attended this chat! Click through to read the transcript. Ready for the kick-off of your season or fall events? More importantly, is your pricing strategy ready? Tune up your thinking and practices in this hour-long Twitter chat with industry colleagues, TRG pricing expert Lindsay Homer, and moderator Amelia Northrup-Simpson. We'll discuss topics like dynamic pricing, discounting, managing inventory, and more. Bring your own favorite pricing ideas and the burning pricing strategy questions you’ve always wanted to have answered. "Pricing decision-making can be subject to emotional, political, and reactive forces within an organization," TRG's Director of Consulting Lindsay Homer said in this week's webinar on pricing. "None of these forces are productive, especially if your strategy is built on fear that your prices are too high or too low or worse yet, based on assumptions about your patrons." The webinar, entitled "3 New Rules for Pricing Right," focused on proactive ways arts managers can manage pricing strategies based on data for best results with patrons and visitors. Director of Consulting Lindsay Homer distilled two decades of TRG's ground-breaking pricing counsel and today’s dynamic technology-driven trends into a new strategic playbook for pricing right. House Half Empty or Half Full? Your Choice. included a range of opinions on how art should be experienced, curated and critiqued. After it ran, a friend asked me about an area not touched upon: whether the patron experience is affected by capacity sold. In other words, is the audience sensitive to the fullness of the hall—and how might that affect their experience? TRG’s take is that an individual’s experience is greatly affected by the number of people who are around them. Close proximity of patrons to other audience members (as well as to the performers) can create a powerful sense of belonging. President Jill Robinson gave a webinar hosted by Blackbaud last week about increasing patrons’ investment in and loyalty to arts organizations through upgrading. The most recent version of this webinar is now available here. Is your organization’s pricing strategy focused only on the cost of admission? Developed in just one department? This 90-minute workshop, presented at the Arts Reach Canada Conference in May 2013, was designed to show leadership teams how much more there is to consider and to gain. High-impact pricing generates positive perception, improved patron loyalty, and greater revenue for every admission or seat sold. Concert Hall. Photo by Dave Herholz via flickr. 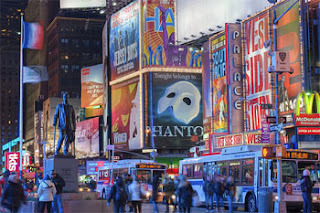 I received an email last week from a client who presents touring Broadway shows. The client needed a fast answer about potential prices for a mega-hit show he hopes to add to the schedule next season. This article is cross-posted on Ticket News and Americans for the Arts' ARTSblog. Harry Truman famously expressed a desire to consult only with “one-armed economists”. Our 33rd President wasn’t fond of counsel that began "On the one hand, this..." and was followed by "On the other hand, that..." Truman wanted straight talk without equivocation. So, here is a bit of economic straight talk from the data vaults of TRG Arts. Forget everything you learned in that Econ 101 class you took in undergraduate school. You can also forget what you learned at Business School. It doesn’t apply to tickets. Update: Thanks to everyone who signed up for the webinar. If you missed it, you can still view the recording here. It’s summer—the time of year when an arts manager’s thoughts turn to poolside fun, family vacations, and—of course—planning for A Christmas Carol, The Nutcracker, yuletide concerts, and other holiday blockbuster events. Not on your calendar yet? Then you are missing a major opportunity. Holiday productions equal big money for arts organizations. But how can you get the most out of this once-a-year opportunity? New York City Ballet (NYCB) wanted exactly that—to maximize revenue. The company had been selling out most of its performances of The Nutcracker. However, NYCB could not add more performances. Growth had to come from the schedule already in place. A version of this post originally appeared as my guest commentary for Ticket News, an online resource for ticket industry news and information. When it comes to pricing ticketed events, what works? For nearly two decades, TRG Arts has answered that question for hundreds of non-profit arts and culture organizations. About four years ago, TRG also began working with a number of commercial entertainment clients, mostly Broadway productions. Usually when organizations consider their ticket sales, they look mainly at total revenue. After all, revenue is what keeps an organization running, and total revenue is the 50,000-foot view of how well an organization is doing. However, when considering how to optimize ticket sales, calculating and analyzing per-capita revenue becomes a critical measurement. Yes, “per-capita revenue” sounds boring, complex and technical, but stick with me—the reality is that it allows you to zoom in and see how tickets are selling on a season-by-season or show-by-show basis and that’s actually pretty useful. In laymen’s terms, per-capita revenue is the average price paid for a ticket. You can calculate per-capita revenue for an individual performance, a series of performances or an entire season. You can also break per-capita revenue out by group tickets, single tickets or subscription/membership purchases. The national conference season is officially in full swing. Right now, I am in Washington, DC participating in the annual meeting of the Association of Arts Administration Educators while my partner, Jill Robinson, heads to San Diego for the California Arts Presenters annual Artist Information Exchange conference. By the end of this month, my colleagues and I will have participated in ten conferences so far this year. At almost every arts industry conference, Demand Based Pricing has been a ubiquitous topic – nearly as popular as the sessions about the importance of social media. If you know TRG well, you are aware that we’ve been preaching the message of fundament change in ticket pricing for more than a decade. It’s strange to suddenly find oneself at the center of a debate about a topic that for years was too geeky for most arts industry conversations.